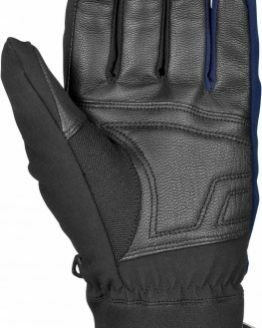 Great comfort is guaranteed with this extremely warm down insulated and waterproof glove with long cuff and deluxe goatskin leather palm. Down feathers provide excellent heating capacity and hold thermal characteristics The storage of heat is very effective. down insulation has the best warmth-to-weight ratio. The soft, light and fluffy nature makes down insulation extremely comfortable. In addition, the down feathers are protected by a breathable and waterproof “down proof bag” which ensures no water penetrates and maintains maximum heating capacity. 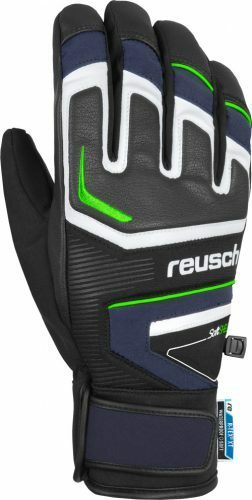 THE WARMEST (FORMER THERMO 5TM): The warmest gloves in the Reusch collection. 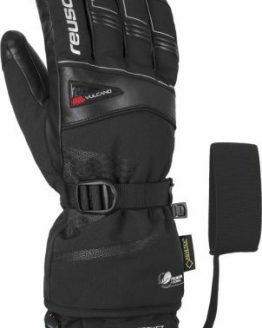 All gloves belonging to this category feature high-quality down or extra-volume insulation. A warm hood of Dryfleece™ material lying on top of the insulation layer covers the finger tips, offering additional heat retention and therefore extra warmth and comfort in this zone that is highly sensitive to cold.